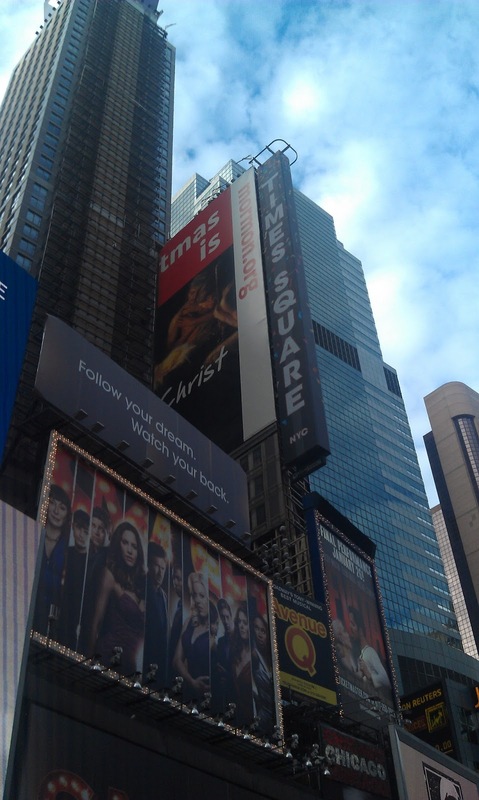 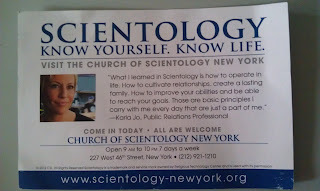 While in New York last weekend, I was astounded by the combination of religious extremes present. 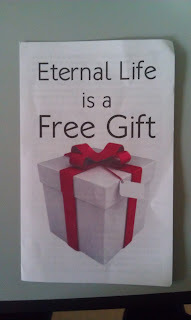 Pictures being worth 1000 words, this will probably be my longest post ever. 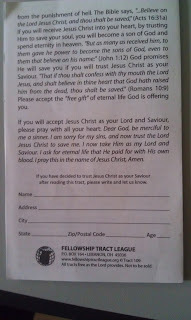 In times square we were waiting in line for broadway tickets, I was handed this tract by a guy just going down the line. 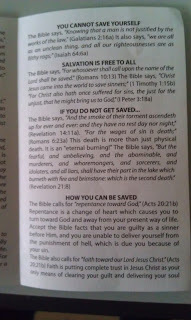 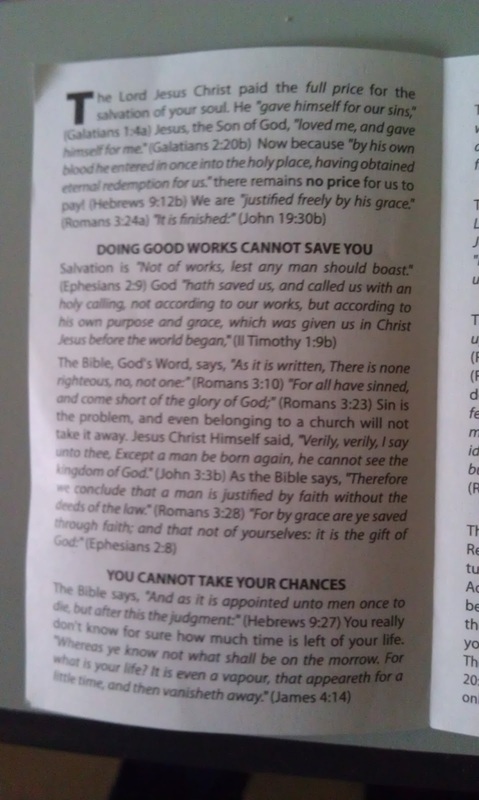 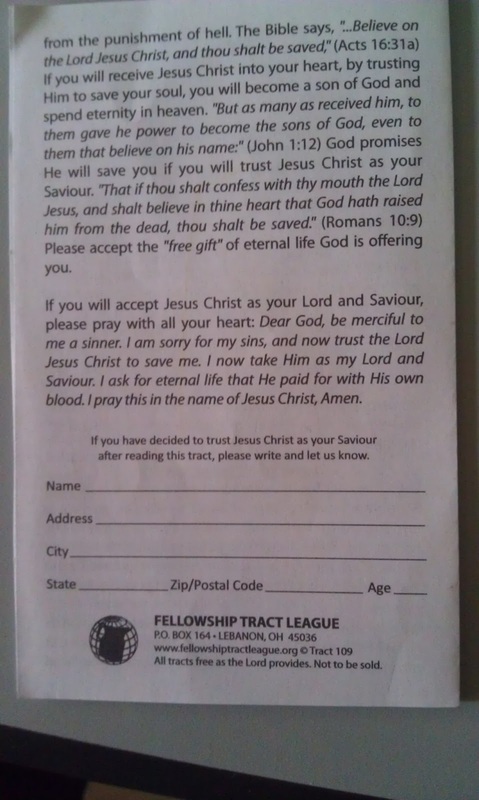 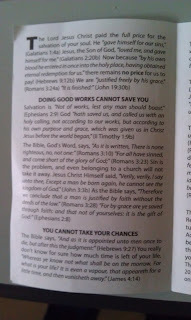 Right across the street I picked up this tract. 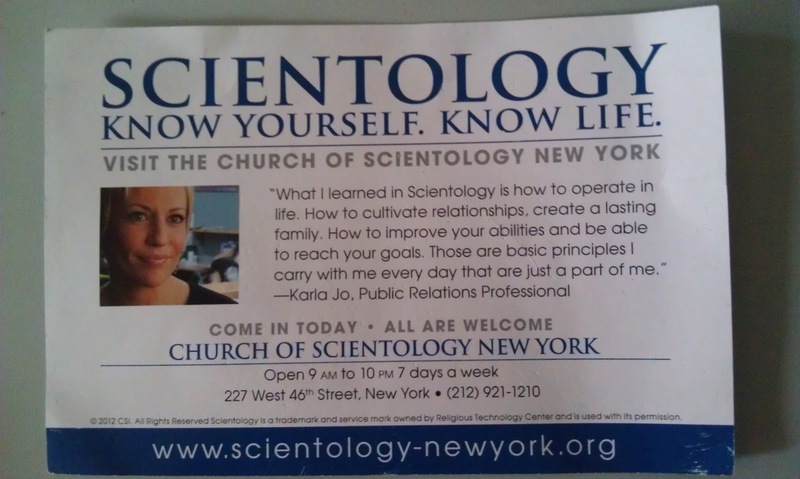 "Are you a seeker of knowledge?<Transition>Dare to think for yourself.<Transition>Scientology.org"
Over the course of the day I also saw street advertisers for Scientology, Jehovah's Witnesses selling watchtower magazines, and a Watchtower building. 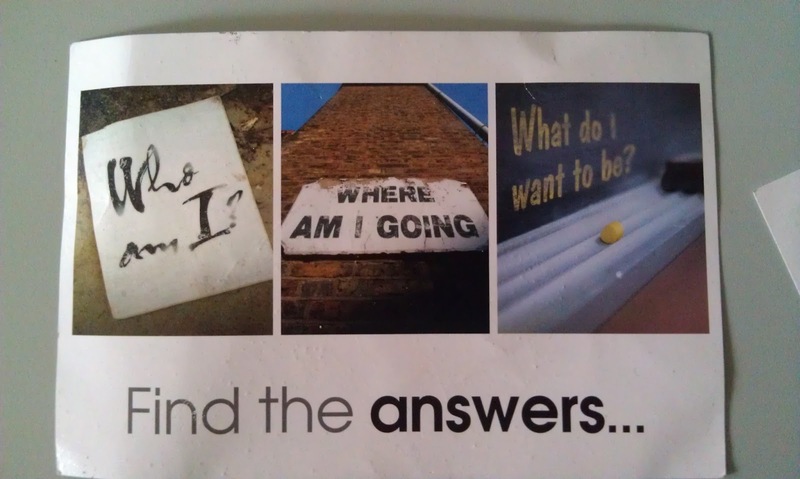 In the end I got a couple new propaganda pieces for my collection and a renewed appreciation for how publicly visible these cults actually are in our metropolitan centers.